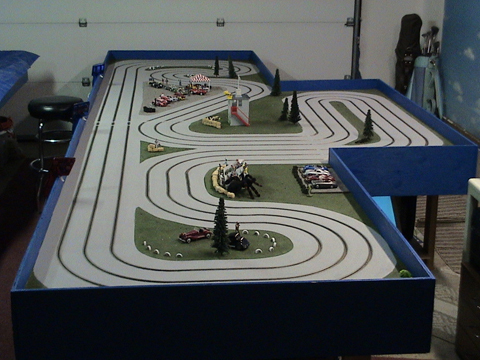 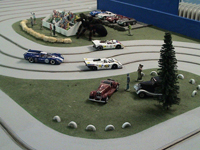 Welcome to Monte and Victoria's Li'l Slot Car Heaven - the home of Penguin Point Raceway and Jacquelin Park Speedway, located in Hillsboro, Oregon, deep in the heart of the Silicon Forest and a frequent host location on the NASTE circuit. The 'Pen' is a 60-foot, 3-lane routed track with variable voltage and magna-braid. 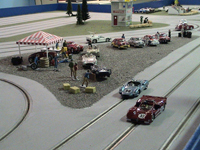 The Pen is also the site of Monte and Victoria's First Sunday Series.